I hope you all enjoyed a great weekend! 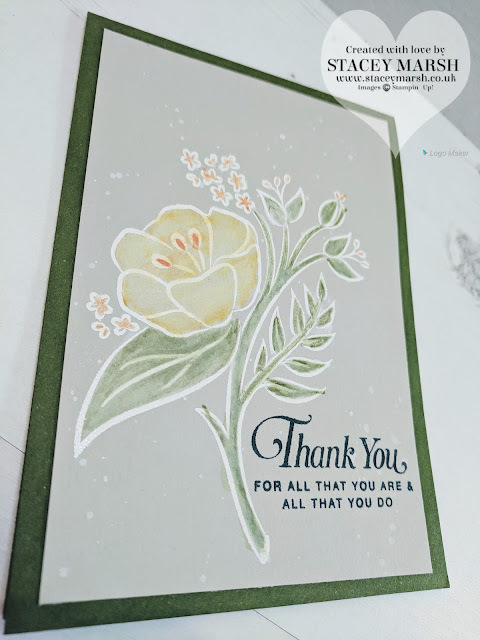 I had a little bit of crafting time which was much needed and today I bring to you a card that I made for a very dear friend who celebrated her birthday over the weekend! We managed to get together today to celebrate and as always it was lots of fun! 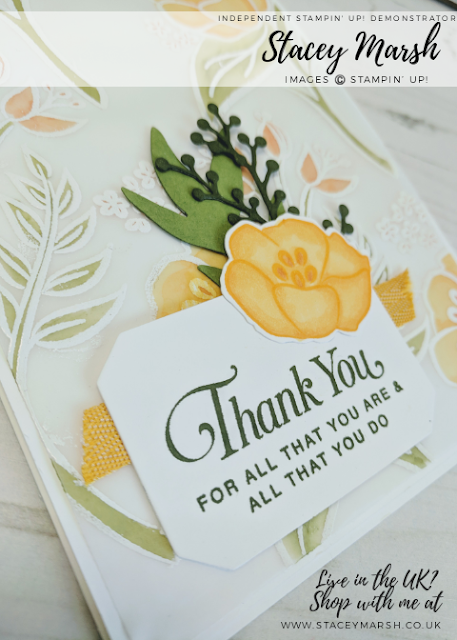 I always enjoy giving a handmade card, especially ones that have been made for special friends and family. This one was definitely made and sent with lots of love! 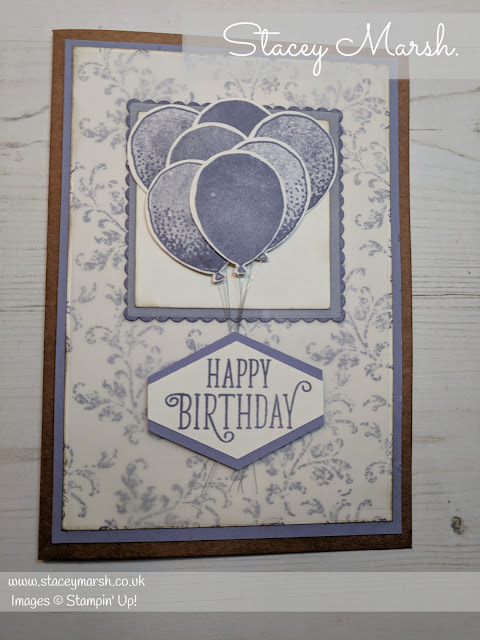 Going in a slightly different direction for me, I have used Wisteria Wonder, not one of my go-to colours but I'm really pleased with how it looks against the craft colour. I have used Balloon Celebration here as the main event and it never disappoints! 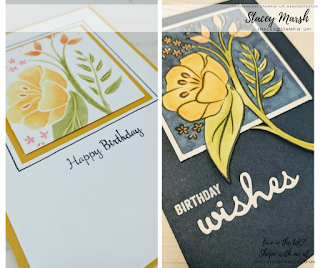 It is such an easy set to use for making really effective cards and with a matching punch you just can't fail! 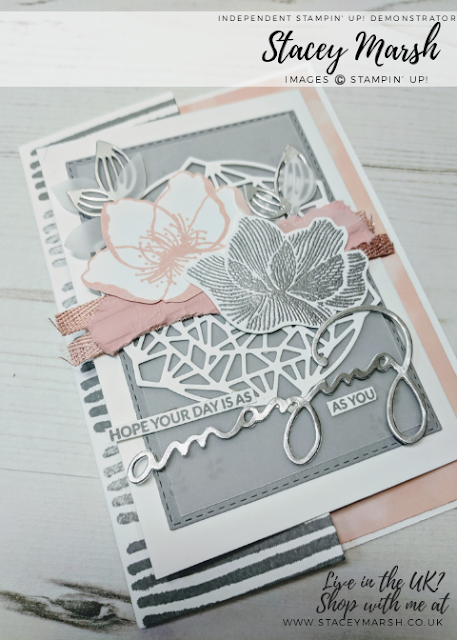 I have used Timeless Textures Stamp Set to create the background, and have covered with Velum to create a 'faded' look. I have cut 2 of the largest Squares from the Layering Squares Thinlits Dies for the focus area. The balloons have been stamped onto Very Vanilla and before attaching, I have tied a piece of Silver Metallic Thread to each one. Once all attached, I have pulled them tight into a bunch and secured with a Mini Glue Dot. 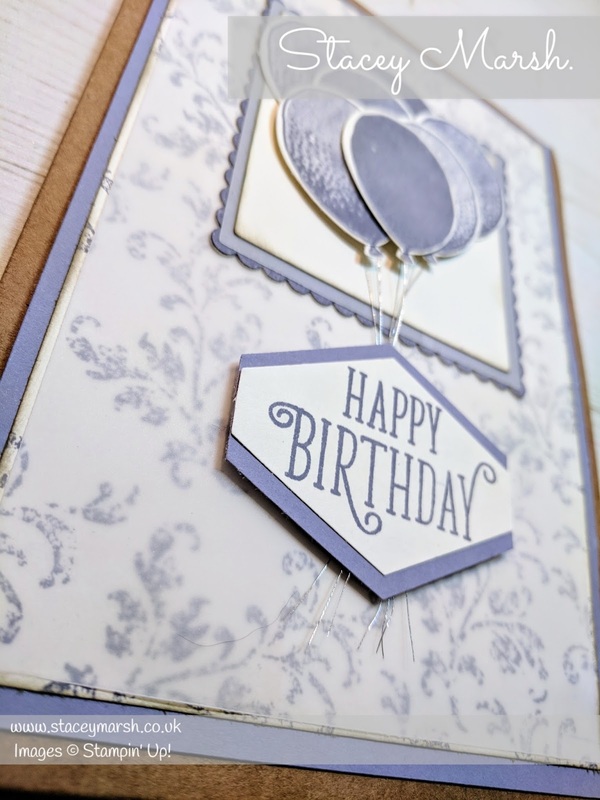 The "Happy Birthday" sentiment comes from a stamp set called Happy Birthday Gorgeous and I have used the Tailored Tag Punch to create the banner. I have cut 2 from Wisteria Wonder Cardstock and layered underneath. 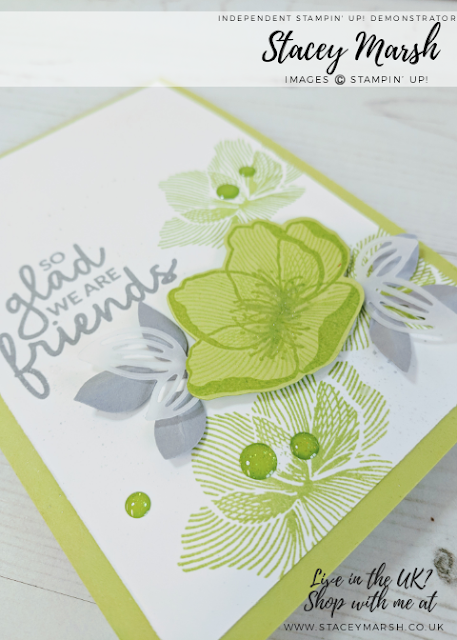 This has been attached using Stampin' Dimensionals. 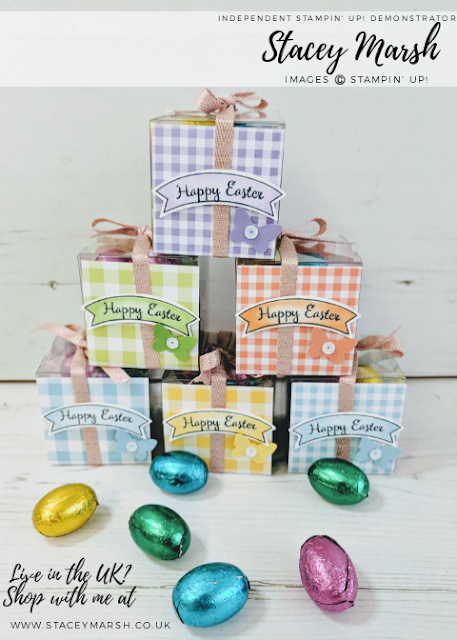 Don't forget if you would like to place an order of £45 or more at the moment you get to choose an extra item for FREE! Thank you for reading folks!